This review first ran in the May 25 edition of The Hamilton Spectator. You’ve got a shot at doing something exceptional. It’s your life-changing, career-defining, legacy-making moment. Success isn’t guaranteed. The odds aren’t in your favour. There’s a good chance you’ll fail with the whole world looking on. And lots of folks will make it their mission to remind you that you were being hopelessly unrealistic. So do you step to the line or do you sit this one out and play it safe? So why do they head in the opposite direction and shun a safe, secure and dull life? 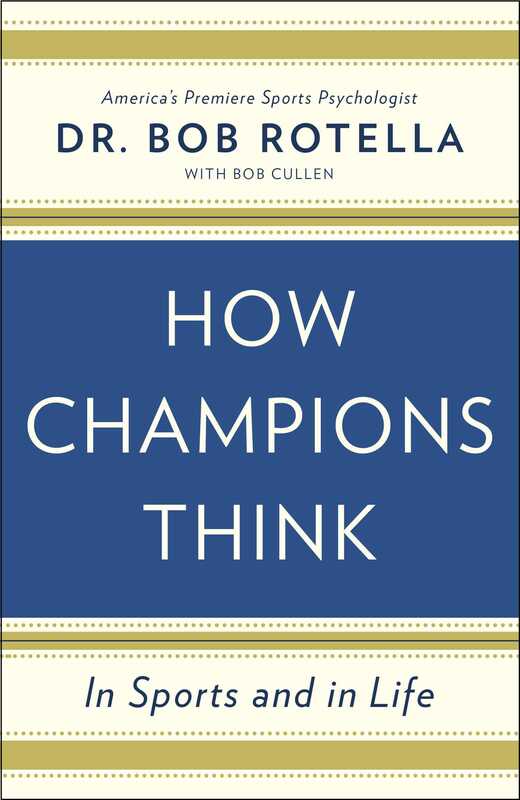 Based on his decades of experience, Rotella’s identified how champions think. Champions learn to be optimistic. Regardless of what happens, find a reason to be hopeful. Commit and persevere. Exceptional people honour the commitments they make to themselves and they learn to love what they’re doing even when it’s not all sunshine and rainbows. Be single-minded. Have a passion for one thing and pursue it zealously. Be willing to lead an unbalanced life. Work hard when you’re young and work smarter and more strategically as you get older. Be patient while you’re working to do better and be impatient with the limits that others put on. Surround yourself with the right people. When you find someone who believes in you and your ability, latch on and learn. You and I likely aren’t going to win a Stanley Cup, Superbowl, World Series or The Masters. But we all have a shot at doing something extraordinary with our lives. The only question is whether we have the mindset to stop settling for safe and secure. This review first ran in the May 11 edition of The Hamilton Spectator. Throw your kids for a loop at the dinner table tonight. Skip the usual questions. Don’t ask if they had a good day or what they learned at school. Instead, ask your pride and joy what they failed at today. It’s also a question worth repeating during your next staff meeting. Sara Blakely’s dad asked this question during every dinner. Blakely is the 44-year-old self-made billionaire founder of Spanx. She credits her family’s dinner table conversations for giving her the courage to launch her company when she was 27 years old and had just $5,000 to her name. Most of us don’t graduate from school with that mindset. We were discouraged from taking risks and punished for making mistakes. Top marks went to students with all the right answers. At work, we’re told to take smart risks but left to guess what qualifies as smart, dumb or potentially career-limiting. In many organizations, it’s better to hit a single than swing for the fences. Mistakes are covered up and best forgotten. But when failure’s not an option, innovation’s not a possibility. When you and your team don’t talk about the mistakes you’ve made, you won’t learn from them and you risk repeating them. On a personal level, you’re not growing if you’re not failing. And if you’re not growing, you’re likely bored out of your mind and thoroughly disengaged. “Accepting failure doesn’t just make risk-taking easier. In a surprising number of instances, it’s the only reliable path to success,” says Friedman. Some companies get it and reward employees who screw up. SurePayroll, a U.S. payroll-processing company, has an annual employee awards program that includes a best new mistake category. You can win gold, silver or bronze plus a cash prize. Software development company HCL Technologies has executives create failure curriculum vitaes. If you want to get accepted into the company’s internal leadership program, you need a failure CV that highlights your biggest strikeouts. 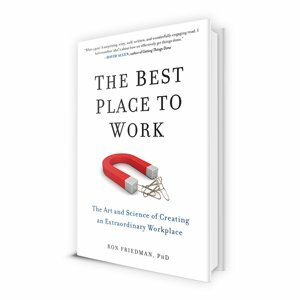 Rewarding failure is one of dozens of evidence-based and sometimes counterintuitive recommendations that Friedman makes for building a workplace that’s loaded with engaged employees and driven by constant innovation. So when it comes time to shower your best and brightest with awards and accolades, don’t limit your praise to employees who hit grand slams. Show some love for employees who go down swinging yet have the courage to step back into the batter’s box and the smarts to adjust their swing.